San Tomas Aquino Creek Trail reach 4 (part one) will open in a couple of weeks. 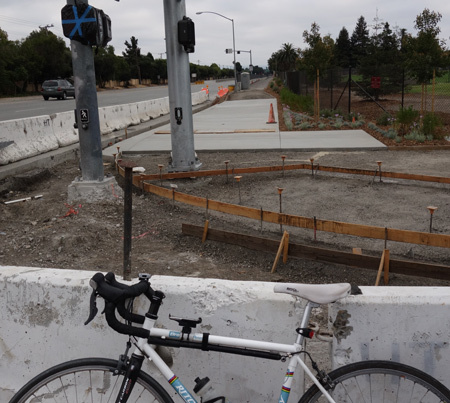 For those who ride by the San Tomas Aquino Creek Trail extension from Cabrillo Avenue, there’s finally some progress to report. The contractor provided its plan to complete all the outstanding items needed to finalize the project. According to the city of Santa Clara, work will be completed within 15-working days starting on January 2, 2014. The trail would be open shortly after the work is completed once the city has inspected and accepted the work. This entry was posted on December 24, 2013 at 5:47 pm and is filed under News. You can follow any responses to this entry through the RSS 2.0 feed. You can leave a response, or trackback from your own site.